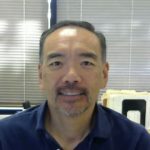 Roy is a managing director and has over 30 years of experience in sales tax, as a senior tax auditor for the California State Board of Equalization (now California Department of Tax and Fee Administration), a tax manager with PricewaterhouseCoopers, and Thompson Tax since 2004. Roy specializes in multistate sales and use tax matters across a broad spectrum of industries. Roy’s extensive experience in both government and public accounting provides invaluable insight and unparalleled benefits to his many clients who entrust him with their sales and use tax issues. Roy’s areas of expertise include audit defense, voluntary disclosures, managed audits, due diligence and transactional analysis. Roy also assists his clients in minimizing audit assessments while obtaining timely refunds by reviewing their business operations for overpayments. Roy is a graduate from San Jose State University with a Bachelor of Science in Business Administration – Accounting and received his Sales Tax CMI designation in 2004 from the Institute for Professionals in Taxation. The CMI is a professional designation and bestowed upon successful completion of a rigorous written and oral examination process.